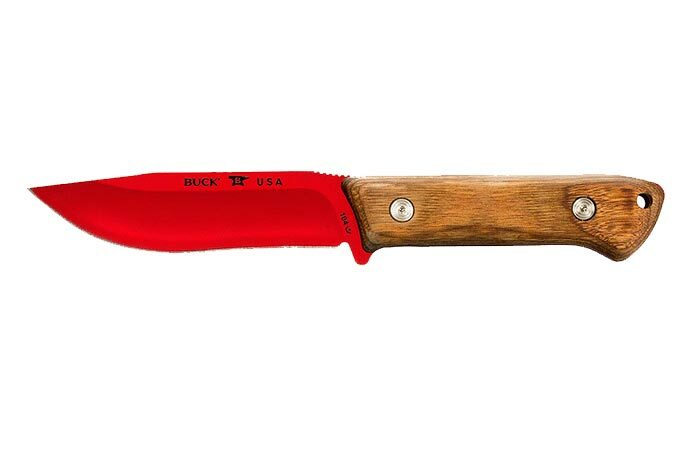 Outdoor enthusiasts have another things to be happy about this camping season as Buck Knives have released a new series of products for them. The Buck Compadre Series is equipped with tools which will most certainly come in handy while you spend quality time out in the woods. 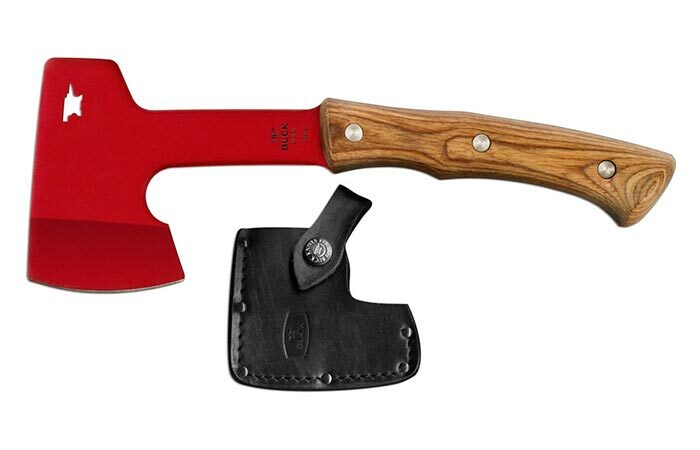 This series of products features a high quality axe, knife and froe which makes it perfect for any given outdoor situation. All three of these tools are made from their signature red powder coated 5160 steel and traditional Walnut Dymondwood handle, which give them a distinguishable appearance. Apart from looking really nice, the steel and walnut make this set quite long–lasting. Even the red powder coat isn’t there just for show because it protects these tools from rust. 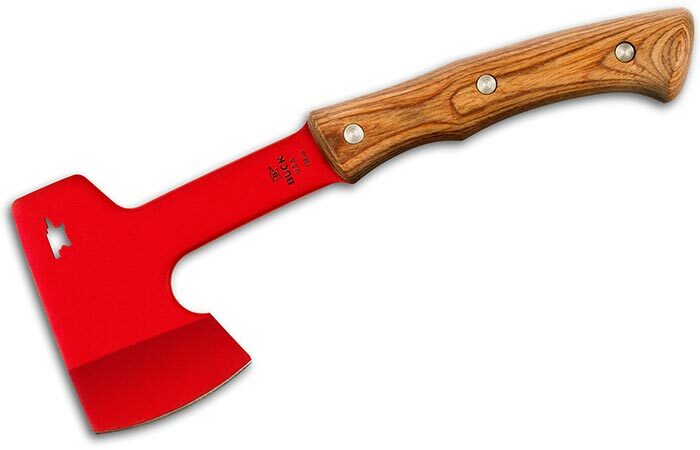 The Compadre Camp Axe is a must have if you decide to venture into the woods. 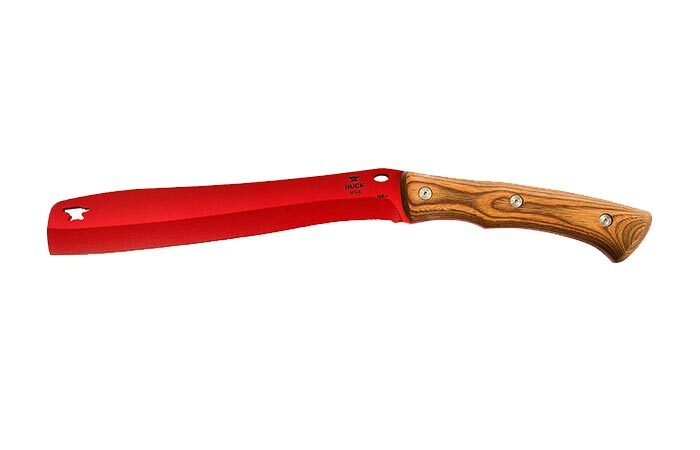 Its ergonomic handle will make the task of chopping quite easy whether you decide to use it with one or both hands. This axe is forward weighted which means that chopping with it will be a simple task. With a 3″ blade and the weight of only 23.4 oz., you will make short work of every log you come across. The Compadre Camp Knife is right up there with its bigger brothers in term of utility and quality. Featuring a full-tang design this easy-to-carry knife will make you feel safe and is the perfect cutting tool. The blade is 4 1/2″ long and it comes in a drop point variation which makes it a perfect tool for hunters. Of course, the guys at Buck Knives included a durable black leather sheath for each of these tools so you can carry them around more easily. Whether you opt for the entire set or just one tool from it, know that you will be fully satisfied with the performance of these amazing outdoor tools.